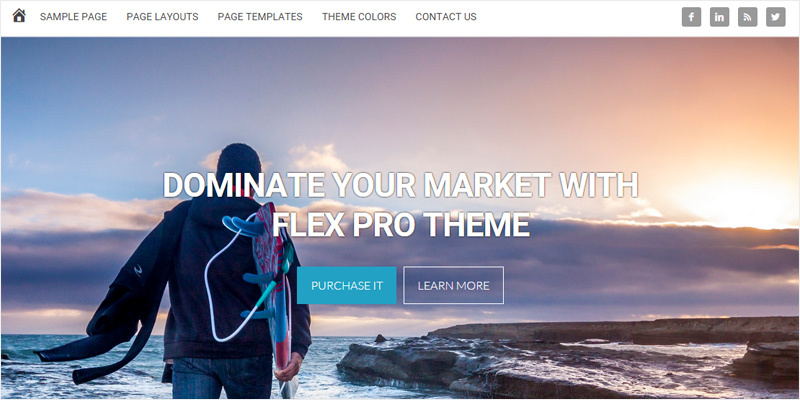 Flex theme has a special in-built widget type ‘Home Page Banner’. This allows you to add a static background image (full width or boxed) with an over-lapping title text, content and buttons. Above is the preview of this widget: background image with an overlay text and buttons. 1. 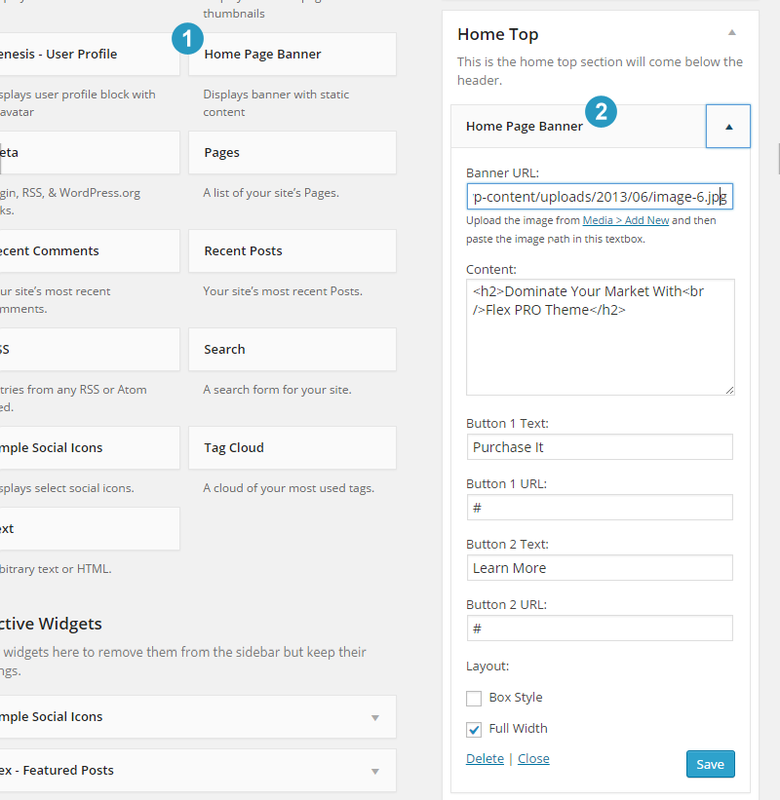 Go to Appearance > Widgets section of the WordPress Dashboard. Drag and drop the Home Page Banner widget to a specific widget area. For example: as seen in the screenshot below – it is added to the ‘Home Top’ widget area. 2. You customize this widget output by configuring various options like: adding a background image url, overlay title and contents, buttons text and hyperlinks (up to 2). Also, select between the full width and the boxed layout.